The myth that has been embraced by the general public and some clinicians or physicians that MSG is harmful is wrong. Apparently MSG or MSG is safe to be used or consumed in the daily diet. Various myths about the side effects of MSG does not have strong scientific evidence, so that the entire world food control agencies are still classified MSG as an ingredient a "Generally Regarded as Safe" (GRAS) and did not specify how many daily intake limit. If there is controversy about an issue should be referred to the dissenting opinions focused on scientific research or official recommendations of international health institutions are credible. In the world of modern medicine is the opinion of a medical expert or even a profesorpun will not apply during the conflict with scientific facts or official recommendations of credible health institutions. MSG or MSG or often called micin not the spices that are often used as a flavoring. Benefits as a source of savory flavors, is indisputable. But it is not acceptable berartisecara open and free of negative issues, especially when associated with health. MSG as we know Mono Glutamate Sdium first time in Japan in 1909. The first company to mass-produce is Ajinomoto. Over time, and cooking needs of the community that continues to meninggkat, then came the brand-other trademarks MSG. MSG originated from the research of Prof.. Kikunae Ikeda (1908) who found that the glutamate source of savory flavors (in Japanese is called umami) was successfully isolated glutamate from the broth of this type of Kombu seaweed. A year later Suzuki commercialize Saburosuke glutamate were isolated by Ikeda. MSG Glutamate is made up of 78%, 12% sodium and 10% water. High content of glutamate that causes all sorts of savory flavors in dishes. Glutamate itself is included in the group of non-essential amino acids making up the protein terdap [at also in other foods such as meat, milk, cheese, milk and in our bodies contains glutamate. In the body, and of glutamate from MSG dimetabolime lainnyadapat materials well by the body and used as an energy source intestine. This compound is a combination of sodium / sodium (salt), amino acids glutamate and water. Confirmation savory flavor is made with molasses fermentation by bacteria brevi-lactofermentum bacterium that produces glutamic acid. Then, the addition of salt that crystallizes. That is why, MSG is often found in the form of white crystals. In Indonesia, the use of MSG is made from molasses and cassava by fermentation. If traced from sejasrahnya, MSG initially taken from seaweed, then changed using another sumberl because given the limitations of seaweed ap [abila dip [akai continuously will cause damage to the marine ecosystem. The fact that MSG is safe to eat and does not cause adverse health effects unfortunately not known by many people. This was stated by the inventor of MSG, MSG is basically created to help the absorption of food nutrients by the body to its full potential. Health agencies the world today as JEFCA (FAO + WHO particular foodstuffs), Community Health Europe, the U.S. FDA and BPOM also agrees that, by stating its security aspects and provides a daily intake limit the use of MSG is NOT SPECIFIED or taste. There is no determination of the numbers in penggunaanyadalam consuming MSG. In America, the use of MSG included in the category of GRAS (Generally Recognized as Safe) as well as the use of salt, sugar and baking soda in pengguaanya. Negative issues outstanding are not based on scientific studies recognized credibility. There are several studies sentenced MSG as a source of disease was to use research methods ambiguous and irrelevant in pengguaan MSG in everyday life. The latest discovery in 2007, showed that the tongue and stomach have glutamate receptors. resewptor presence helps in the digestive process in expediting the process of digestion it. The use of MSG in food can also reduce salt consumption 20-40% dengantetap maintain taste and delicious food. 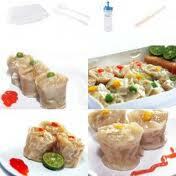 This can help reduce the risk of hip [ertensi and heart while providing good taste in these dishes. It causes negative things in the use of MSG because some people have allergies to certain ingredients, it is the same as allergies some people of a certain particular thing (seafood allergy, milk allergy, dust allergy, hay fever, allergic to feathers cats-dogs, etc.). Therefore MSG get a negative mark for the community, but MSG is basically very helpful man in the process of digesting food in abundance maximum. Another development that needs to be noted is a savory (umami-Japanese version) has been recognized as the fifth basic taste in addition to sweet, salty, sour and bitter. MSG accused as the ringleader of the root causes of complaints, which is called Chinese Restaurant Syndrome. The term comes from the incident when a doctor in the United States eat at a Chinese restaurant, then experienced nausea, dizziness, and vomiting. This syndrome occurs presumably because Chinese food contains a lot of MSG. This report was subsequently published in the New England Journal of Medicine in 1968. Various scientific studies further found no link between MSG with this Chinese restaurant syndrome. In fact, there may be a small group of people who react adversely to MSG so experienced these things. Chinese Restaurant Syndrome Symptoms are very similar to the symptoms of a heart attack. Chineese Restaurant Syndrome symptoms was also similar to the symptoms of food simpanmg reaction or allergy symptoms. Turns out food allergy and food hypersensitivity can cause all organs including vascular disorders, brain, and muscle and bone disorders. Patients with heart disease who consume foods containing MSG can be fooled by these symptoms. They could have thought had been exposed to CRS when it actually was having a heart attack. Warning for people with heart disease! It was not clear what percentage of the population who experience it. In addition, MSG's negative reaction emerged when people are eating at least 3 grams of MSG without food (on an empty stomach). This situation can be said to be very rare, because MSG is usually mixed into the dish. In addition, there are also other foods, especially carbohydrates, are eaten along with MSG. Is it true that MSG cause shortness of breath in people with asthma? Shortness of breath in people with asthma after consuming MSG may occur when disease or uncontrolled asthma is not treated properly. Until now there has been no research that says MSG as caused of allergies. As for the alleged between MSG consumption with the onset of lesions (sores) in the brain, the emergence of Alzheimer's disease, Huntington's Disease, amyotopic lateral sclerosis, and other chronic illnesses, the FDA has taken action. Food and drug regulatory agency has asked the United States to FASEB reanalyzed all the research on the health effects of MSG. FASEB final report was published in a book as thick as 350 pages for the FDA on July 31, 1995. Based on this report, the FDA found no scientific evidence whatsoever to prove that MSG or glutamate causes brain lesions and chronic diseases. In 1987, the Joint Expert Committee on Food Additives (JECFA) of the World Food Programme of the United Nations and the WHO, put MSG in the category of safe food flavoring dokonsumsi and no effect on health. This statement is reinforced by the European Communities Scientific Committee for foods in 1991. Furthermore, the Agency Penagwas U.S. Food and Drug Administration (FDA) in 1995 stated that the MSG included as a seasoning, like salt, pepper, and sugar, so it is safe for the body. Clinical evidence does not yet exist. But the FDA considers MSG safe for pregnant women. Pregnant women has not been proven that eating foods containing MSG will give birth to babies who experience health problems. New research conducted on pregnant rats given high doses of MSG powder, 4 mg / day, the results show MSG is able to penetrate the placenta and fetal brains absorb twice as much MSG parent brain. 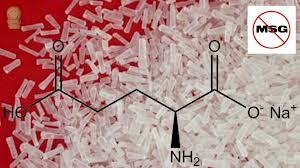 Ten days after birth, children are more susceptible mice had seizures than from the parent who did not use MSG. so remember whatever goes into the mother will diaslurkan by the placenta to the fetus, pregnant women should reduce the consumption of MSG. Similarly, pregnant women, gram exactly how MSG can harm the health of children has not been clinically proven bias. However, through the Indonesian Government Regulation 69/1999, National Agency of Drug and Food Control Indonesia expressly prohibits the addition of MSG on complementary feeding and infant formula to avoid the risk of health problems that may arise, because the digestive children who have not been strong. There is no standard rule the world, including those issued by the world's food and health agencies (FAO and WHO). Who could have known is the optimal point savory taste that can be felt someone, namely a maximum of 5 grams / day. The regulation of the Minister of Health No.722/Menkes/Per/IX/88, use restricted MSG taste, should not be exaggerated. Unfortunately, it is not explained in detail how many grams / day is recommended. Looking scientific fact and recommendations int5ernasional the various health institutions should not be afraid to use the MSG as a food flavoring. Based on research and testing, the product is proven safe for consumption. MSG is composed of sodium (sodium), glutamate, and water are nutrients for the body. "To make the MSG should use sugar. Glutamate, naturium, water, 3 parts maker MSG. In science, there is no evidence of allergy due to glutamate. Glutamate there are many in the tomatoes, cheese, meat, or milk. BPOM Indonesia also specify limits on the use of MSG taste. In accordance with its function as a menyedapkan seasoning flavor. These limits are the same as the use of salt and sugar in cooking. There are three production sites Ajimonomoto shown. Starting from Ajinex, where guests can see the control panel controls the MSG. Followed by a reception area molasses which is the raw material of MSG. What's next, Masako showing that these ingredients are made from chicken and beef original, not just from the taste of meat. It appears from the glass how chicken and beef received after checking through quality by the QC. Furthermore, the ground beef and chicken, boiled and then separated from the bone and processed into granular form.